Yesterday, hundreds of fans turned up at an open workout to watch the stars of Frank Warren’s show on Saturday. 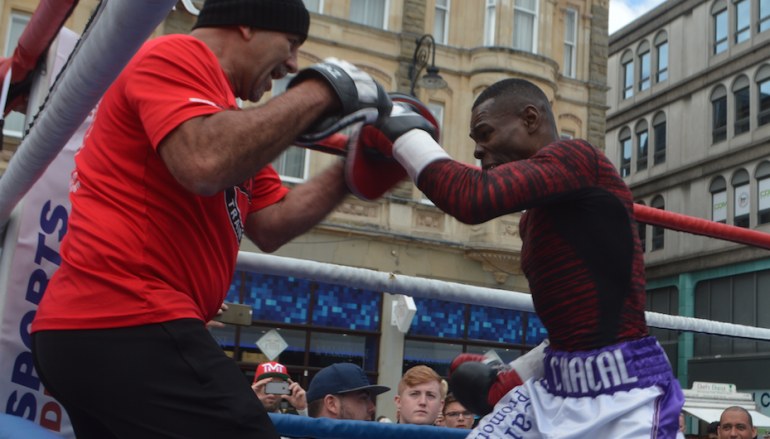 It was held outside the Capitol Shopping Centre on Queen Street in central Cardiff and featured champions Liam Williams (14-0-1, 9KO) and Guillermo Rogondeaux (16-0, 10KO). 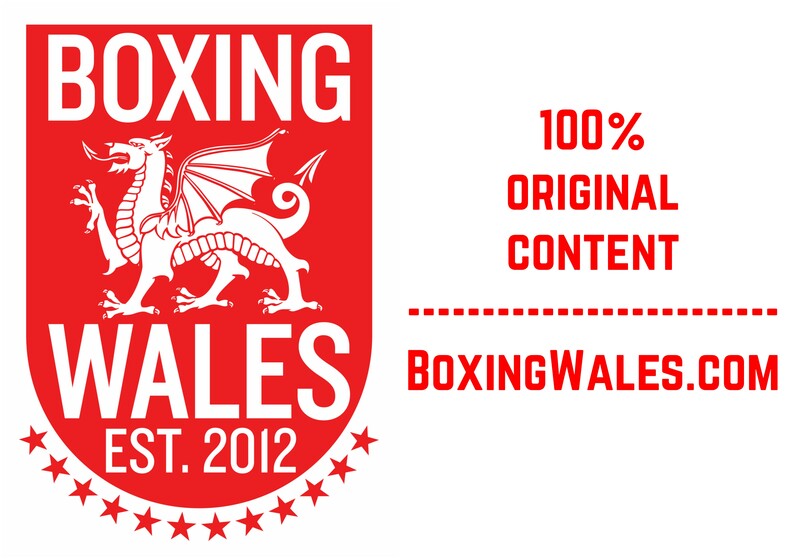 Just three miles away, the fighters will showcase their skills for real at the 3,500 capacity Ice Arena Wales, which is close to selling out and will be broadcast on BoxNation (Sky Ch. 437). Williams has scored six consecutive knockout wins and his power was evident. 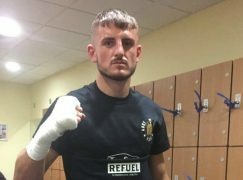 The 24-year-old caused his trainer and manager Gary Lockett, a world title challenger in 2008, to visibly wince on several occasions with hard hooks. ‘The Machine’ played a lesser role in Nathan Cleverly’s public training session at the same spot in 2013. However, Williams has progressed rapidly over the last 18 months and his fan base has grown too, becoming an attraction that personally sells more tickets than any other boxer in Wales. Williams will defend his British and Commonwealth super-welterweight titles against Gary Corcoran, whose WBO Inter-Continental title will also be up for grabs. The Welshman has been relatively inactive over the last two years but this will be Williams’ second fight in the last six weeks. Cuban great Guillermo Rigondeaux, a two-time Olympic Games gold medalist and multi-time world champion, wowed crowds with his speed, movement and creativity. In preparation for Liverpool’s James ‘Jazza’ Dickens (22-1, 7KO), Rigondeaux and coach Pedro Diaz did all sorts, including catching balls and even forward rolls across the canvas. The Spanish speaking ‘El Chacal’ managed a few words of English to thank fans for watching him train and then spent over 30 minutes giving his autograph and taking photos. Wembley’s Gary Corcoran (15-0, 6KO), who spent some of his training camp in Rigondeaux’s native Cuba, also performed at the open workout. The unbeaten contender is ranked fifth in the world with the WBO and completed a pad routine with co-trainer Frank Greaves, even switching to southpaw for a few combinations. Maerdy’s hard hitting super-middleweight Alex Hughes (7-0, 3KO) also tested Lockett’s endurance during a 20 minute session. ‘Bad News’ takes on Huddersfield’s game Alistair Warren (9-12-4, 4KO) over eight rounds and will open the BoxNation broadcast. Swansea’s Jay Harris (7-0, 4KO) will be one of the first fights on the show and he takes on another unbeaten super-flyweight in Ramesh Ahmadi (5-0-1, 2KO). Jay went through the motions with his father Peter, a former Welsh and British champion who also challenged for a European belt.